It's been three years since Apple brought the smartphone to a mass consumer market, but smartphones have actually been around in one form or another since 1993. The difference between then and now is that early smartphones were primarily used as enterprise devices and were prohibitively expensive for most consumers. 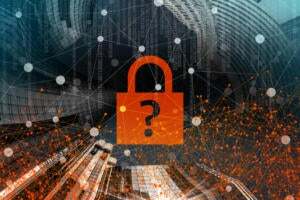 But with the enormous success of the iPhone, carriers have discovered that they can lock in customers for long periods of time by heavily subsidizing their purchases of the latest and hottest smartphones. 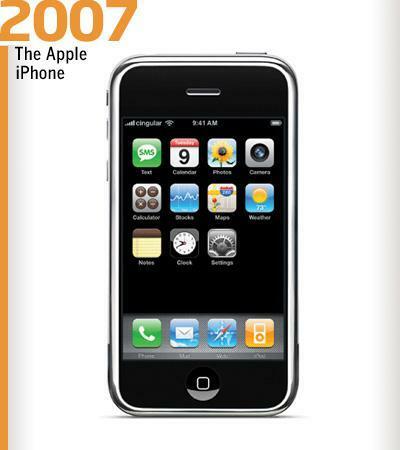 In this slideshow we'll track the evolution of the smartphone, from its humble beginnings as a clunky monochrome device to today's sleek multimedia devices capable of supporting HD video. The Simon was the first real attempt by the tech industry to create a "Swiss Army Knife" type of phone that incorporated voice and data services into one package, as the device acted as a mobile phone, a PDA and even a fax machine (remember those?). What's more, the device even had a touchscreen that could be used to dial phone numbers, making it a true pre-pre-pre-precursor to the iPhone that would come 14 years later. The downside? Well, one Simon owner describes it as "brick-like, huge and heavy." And its original retail price was (eep!) $899 . If you wanted a smartphone in 1993, you were probably better off waiting 17 years and paying $200 for an iPhone 4. Although the Pilot wasn't a smartphone, it does deserve credit for popularizing the use of mobile data by enterprise users. After all, what dot-com exec in the late '90s would dare leave his office without taking his trusty Pilot with him? As the device that started it all for Palm, the Pilot 1000 offered users 16MHz of processing power and a grand total of 128KB of memory at a retail price of $300. While this may seem laughably overpriced for such a primitive device by today's standards, at the time the Pilot 1000 was a cutting-edge device that spawned the entire PDA industry. Now here's where we start to see something that looks somewhat like a modern smartphone. 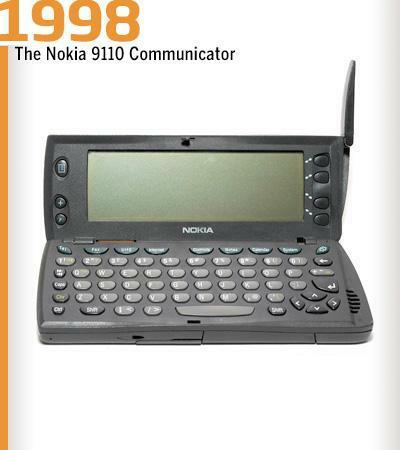 Sure, the Nokia 9110 Communicator still had a grayscale screen and no real ability to browse the Web, but it did have a creative flip-out keyboard design that served as a model for today's popular slider smartphones such as the Motorola Droid. In the late 1990s, Canadian company Research in Motion was mostly known for its two-way pagers that were adopted by tens of millions of users worldwide . But starting in 2002, RIM entered the mobile phone market with its BlackBerry 5810 device, a phone with the ability to get e-mail and surf the Web. The major downside of the 5810 was that you needed to plug in a headset in order to talk on the phone. 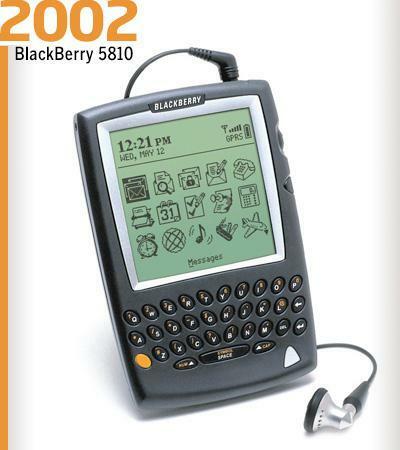 RIM would not release a proper headset-free smartphone until the BlackBerry 6210 came out in early 2004. The Treo 600 was the first smartphone released by Palm after it acquired device manufacturer Handspring, which itself had been started by Palm's original founders and which had used Palm's operating system as the basis for its Treo devices. This particular smartphone featured both GSM and CDMA models and had 32MB of RAM and 144MHz of processing power. 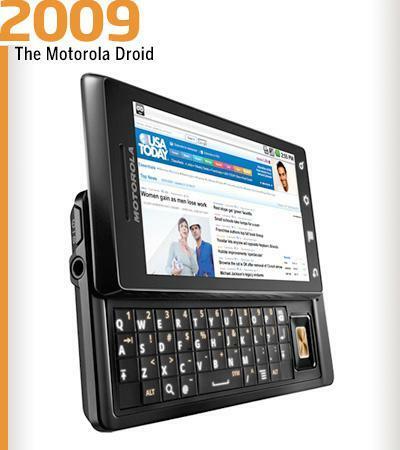 The Treo was popular in its own right, although its release marked the start of the wane of Palm's influence. What more can be said of Apple's revolutionary device? Apple's first attempt at cracking the smartphone market was a no-doubter home run that integrated a touchscreen display with the best Web-browsing experience to yet be offered on a mobile device. Three years later, the iPhone is still the device to which all other smartphones are compared. Android's rise is fairly remarkable for an operating system that only just launched in the fall of 2007. 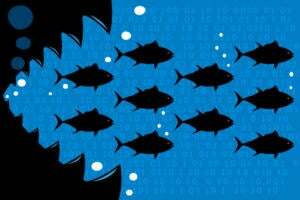 The open-source operating system's success is even more impressive when you consider that when it debuted it was already facing a crowded field of OS heavyweights such as the iPhone, BlackBerry, Windows Mobile and Symbian. But now Google's open-source mobile operating system has become a major player in the smartphone industry. It was used on more than 7% of all U.S. smartphones at the end of 2009, more than double its market share from the previous quarter. Although Android had been on the market for more than a year before the Droid's release, the Droid was the first major hit for the Android platform that had enduring brand recognition. The device, which was also the first Android-based smartphone to run on the Verizon network, sold more than 1 million units over its first 74 days on the market and is expected to be followed up by a sequel sometime this summer. Sprint has long been eager to show off the capabilities of its WiMAX network, which is currently the fastest wireless network commercially available in the United States. With the release of the EVO 4G this summer, Sprint finally has a flagship device that will let users take advantage of its high-speed network. In addition to its connectivity, the phone is also notable for its striking physical size, with a 4.3-inch 800 x 400 pixel display screen and a weight of 6 ounces. The Android-based device is so big that it even features a kickstand that helps users keep it upright while they're looking at the screen. What does the future hold for smartphones? Do you think Motorola's new 2GHz smartphone will make history? 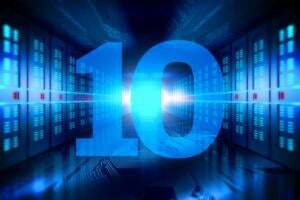 What new features do you want smartphones to add in the coming years? Let us know in the comments!